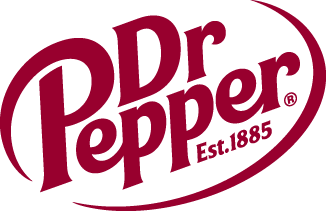 Arena Soccer Joins Dr Pepper Dallas Cup XXIX | Dallas Cup, Inc.
Dr Pepper Dallas Cup XXIX, the most prestigious international youth soccer tournament in the , proudly announces Arena Soccer as a “premiere sponsor”. Arena Soccer is a fully enclosed practice area for young players, ages 3-12, to have fun competing and developing their soccer techniques and skills at home. “Since its introduction in 2006, Arena Soccer has been the ultimate home aid for developing soccer techniques”, stated Gordon Jago , a former English League professional player and legendary coach of top English and USA teams, who now travels the world selecting top clubs for the Dallas Cup tournament, “The major difference that separates the best youth soccer teams from the rest is the players individual skills and techniques”. To assist in meeting the needs of good ball control, Jago has developed age level specific practices designed to be performed within an Arena Soccer unit. His informative booklet More Soccer Fun Being The Best is included with each unit. Arena Soccer gives children an opportunity to practice important techniques, while having fun in the safety of an enclosed area in their own backyard. During the eight day Dallas Cup tournament, March 16-23, 2008, Arena Soccer units will be on display, as well as available for purchase ($349.99) at Pizza Hut Park complex and Richland College Soccer Complex for participants and spectators to show off their soccer skills!